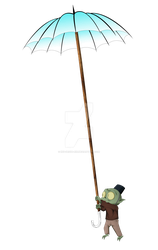 on my pixiv -> I want you ! Hi everyone ! First of all I wish you all a good Year 2019 and good Health ! 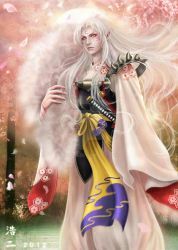 Sesshomaru has organized a "banquet" to celebrate the victory on a powerful enemy who owned land and which was entered into war against Sesshomaru. For this banquet Rin it is dressed with more noble than usual clothes. 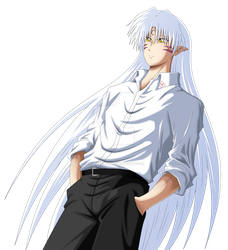 During the feast, Rin could not speak with Sesshomaru because it was still in discussion with other Yokais and also ladies Yokais. Rin made her way to a balcony because she was also populair to other Yokais who do not stop wanting to dance with her. 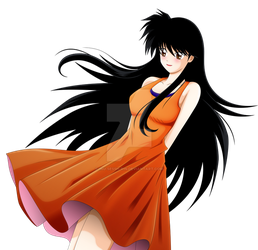 While she was lost in these troughts, Sesshomaru has join because he wanted to be with her. 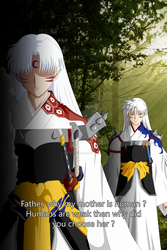 Sesshomaru : Rin why are you alone ? 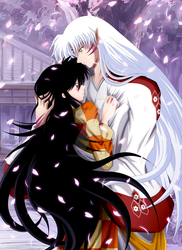 Sesshomaru : Even if the castle is filled with "ladies Yokais" I see only you. Before Rin finished his phrase, Sesshomaru took Rin's hand and towards him slowly until their bodies are against the other. 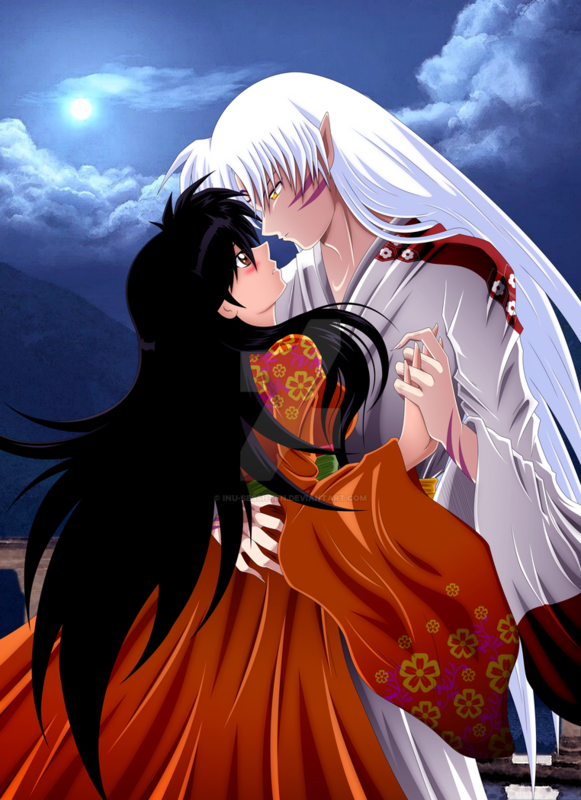 Sesshomaru : I want to enjoy every moment with you... I hope you don't see any downside to stay with me during the time of the banquet ? 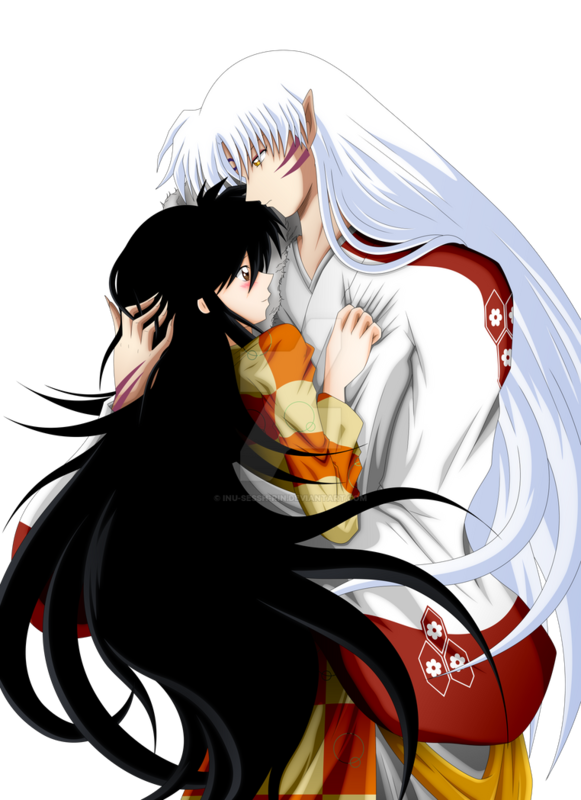 Rin : Staying with you forever is my most wish Sesshomaru-sama. 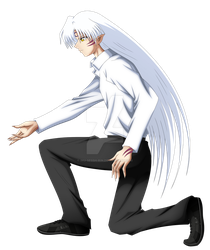 Rin think : Arigato, Sesshomaru-sama. For this fanart I inspired with an image of the couple Bardock and Gine (I find very well ^^). 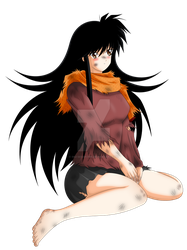 Kagome Higurashi Demotivational You might enjoy this. Hi my Brother, my other Brother HellspawnRKO has an awesome Gallery and we should support and comfort him now! Wanna help? As you know I like your artwork very much and I think it real gift to all people who get much joy as I do in seeing it. 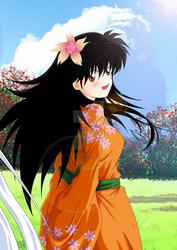 I really like your inuyasha artwork. 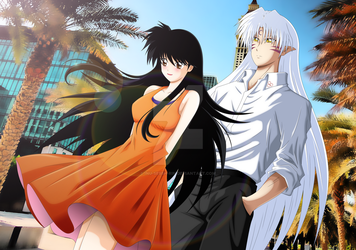 I know you like Rin and Sesshomaru artwork. 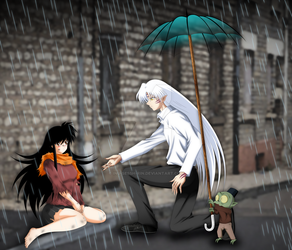 I found a very good one you might like called moonlight in my world by animaker131. Check out and see what you think. Plese keep up the good work on your artwork and know that always be happy seeing new artwork you. I hope you had a good thanksgiving. I will be waiting to see what amzing artwork you come up with next. I wish you best of luck with all future works of art.